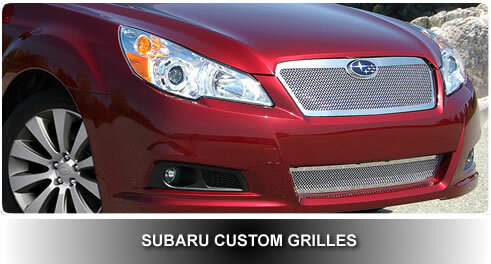 We strive to bring you the best selection of custom grilles for Subaru. We carry the latest style grills including billet grilles, custom grill, mesh grilles and aftermarket grilles. The products we carry have been carefully chosen with regard to quality, fit and style. Each product carries it's own manufacturers warranty and comes complete with all installation hardware and instructions. Customize your Subaru by ordering a Custom Grille or Dash Trim Kit today!